Do you launch a new brand from the top down or the bottom up? Is every tactic and strategy a winner? Is your brand strategy still successful years later? Both the Ohio History Connection and the Smithsonian Institution have recently embarked on name changes or brand refreshes. At the 2015 Smithsonian Affiliations National Conference, colleagues from each organization will tackle what can be learned from launching new brand strategies. A sample ad from the Smithsonian “Seriously Amazing” campaign in 2012. Erika Ferrin is the Brand Marketing Manager at the Smithsonian Institution. 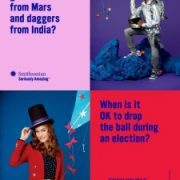 The Smithsonian launched a new branding campaign in 2012 with the new tagline â€œSeriously Amazing,â€ a way to broaden peopleâ€™s understanding of what the Smithsonian is and does. But what has happened in the past three years? Erika will give an overview of what has happened, for better or for worse, since the Smithsonian decided to update its brand. 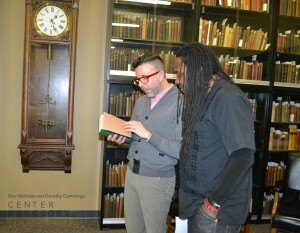 Jamison Pack is the Chief Marketing Officer at Ohio History Connection, a Smithsonian Affiliate in Columbus, Ohio. 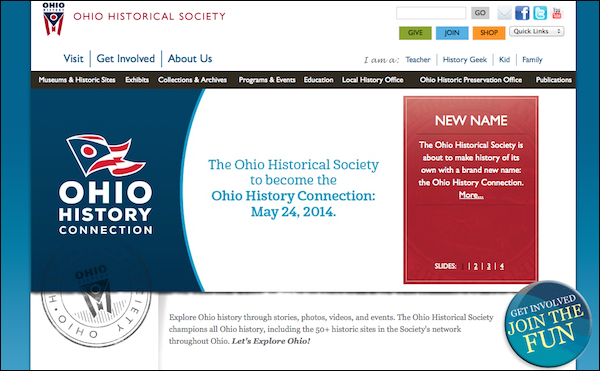 Last spring, Ohio Historical Society changed its name to Ohio History Connection to make history more accessible. The name change came after two years of research which showed that respondents saw the organization as inaccessible and antiquated. Jamison will discuss making the case for the Ohio History Connectionâ€™s name change and the cultural shifts within an organization involved in selling the value of marketing your brand. Both panelists will show some examples of their best ideas that all Affiliates can take away, some things that didnâ€™t go according to plan, and biggest challenges at each organization. Finally, Erika will open discussion for how Affiliates can be part of the Smithsonian brand campaign in their own communities and how the Smithsonian can learn from Affiliate methods. Join them on Wednesday, June 17 at 2:00 p.m.
Are you registered for the 2015 Affiliations National Conference, June 15-17?! The Smithsonian Affiliations National Conference is for current Affiliates only.Â If you are interested in becoming an Affiliate, or have an application in progress and would like to attend the Conference, please contact us for more information. If you have questions or comments related to the Affiliations National Conference, please contact Elizabeth Bugbee. Among other benefits, Smithsonian Affiliates learn about new Smithsonian traveling exhibitions first! Â We’re pleased to bring you two exciting new exhibitions that will travel. Â The first,Â Armchair Archaeology: Paul Singer’s Search for Ancient ChinaÂ from the Freer GalleryÂ of Art and Arthur M. Sackler Gallery details the amazing story of collector Dr. Paul Singer, a psychiatrist by trade who amassed a wide-ranging Chinese art collection, now part of the Sackler Gallery at the Smithsonian. 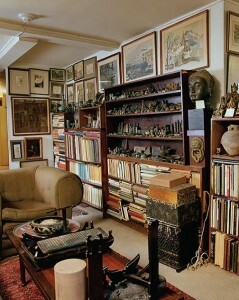 He collected most aggressively after he immigrated to the UnitedÂ States in 1939, making discoveries at art dealers, auction houses, and thrift stores alike. A self-taught,Â amateur scholar-collector who never learned the Chinese language, Singer managed to secure a researchÂ appointment at the Metropolitan Museum of Art due to his remarkable visual memory and extensiveÂ experience in the field. 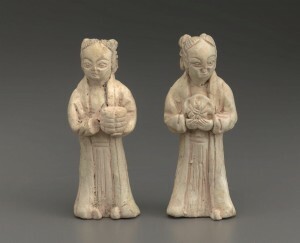 Â The exhibition examines bothÂ archaeology and miniatures through topical groupingsÂ of objects dating from the Bronze Â Age (circa 1800â€“300Â BCE) to the Ming dynasty (1368â€“1644.) Â In addition to exploring form, function, and meaning, Â theÂ ninety-five objects in the exhibition also represent a rangeÂ of media, including jade, marble, fluorite, bone, Â ivory,Â amber, gold, silver, bronze, and ceramics from earthenwareÂ to porcelain. This breadth reflects Singerâ€™s Â ambitionÂ to amass â€œa sequential development in all the materialsÂ worked by Chinese artists.â€ Â For more information Â and a pdf with an overview of the exhibition, Please email us. 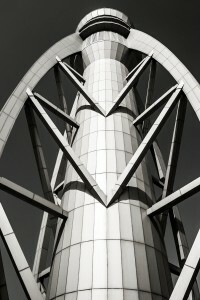 Â Across the Mall, from National Air and Space Museum, comesÂ Art of the Airport Tower. Â The exhibition is the Â second to feature photographs from Museum Specialist, Carolyn Russo. The first, In Plane View,Â traveled to Â many Affiliates over its multi-year run, and is currently on view at the Evergreen Aviation and Space Museum. 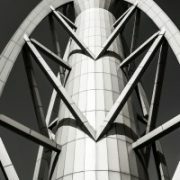 Â Both exhibitions feature stunning photographs of their subjects;Â Art of the Airport TowerÂ shows these often overlooked utilitarian structures as beautiful art in our everyday lives. Â It is a photographic journey to airports in the U.S. and around the world. Russo documents these important architectural structures to bring a heightened awareness to their simple beauty and call for their preservation. 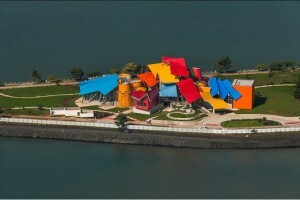 Â She is available for lectures and public programs to venues hosting the exhibition. 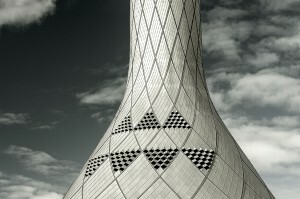 Art of the Airport TowerÂ includes historic towers such as the Ford Island Tower, which stood the day of the attacks on Pearl Harbor, as well as today’s heavily trafficked airports such as London’s Heathrow Airport. International towers–including several of the world’s tallest towers, one of which is the Suvarnabhumi Airport in Bangkok, Thailand–are also highlighted. Captions describe the airport and the towers’ significance, and an introduction by F. Robert van der Linden tells the history of airport towers to contextualize Russo’s work. This exhibit will attract a diverse audience, appealing to anyone with an interest in aviation, aerospace, art, photography, technology, history, culture, and architecture. Please let us know if you’re interested! To support a two-year project to arrange and describe four large photograph collections documenting the development of modern Colorado and the American West in the mid-20thÂ century. The museum will also digitize and post online 800 photographs that staff will select for their research value and potential research use. The PPG Industries Foundation announced the donation of $10,000 to the Frontiers of Flight Museum (Dallas, TX) to support a Young Womenâ€™s STEM Leadership Initiative, a new science, technology, engineering and math (STEM) education program for 6th- through 12th-grade students from two public all-girls schools in the Dallas/Fort Worth area. Through the new initiative, more than 600 students will participate in guided tours of the Frontiers of Flight Museum;Â and includes paid internship opportunities for 10 upper-class students to assist teachers with spring break camp and 16 internships and 10 scholarships for the museumâ€™s Flight School Summer Camp. George Guastello will receive the Nonprofit Connect nonprofit professional award for his work as president and chief executive of Union Station Kansas City (Kansas City, MO), which has stabilized funding, programming and occupants during his tenure. Chabot Space & Science Center (Oakland, CA) and the Patricia and Phillip Frost Museum of Science (Miami, FL) have been named finalists for the National Medal for Museum and Library Service, the nationâ€™s highest honor given to museums and libraries by the Institute of Museum and Library Services in recognition of exceptional service to the community and for making a difference in the lives of individuals, families, and communities. The Mexican Museum (San Francisco, CA) announced that Cayetana S. GÃ³mez has been hired as President and Chief Executive Officer (CEO). Spring is here in Affiliateland! The National Museum of American Jewish History (NMAJH) will open the Richard Avedon: Family Affairs exhibition featuring reproductions of the photographerâ€™s work from Smithsonian collections, 4.1 . The National Museum of American History will collaborate with NMAJH to host a Let’s Do History workshop for teachers in Philadelphia, 4.7. The African American Museum in Philadelphia will co-sponsor the Emancipation 2015 Symposium, featuring a keynote by Nancy Bercaw, curator at the National Museum of African American History and Culture, in Philadelphia, 4.25. 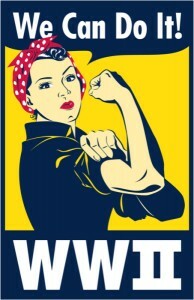 The Heinz History Center will open You Can Do It! World War II exhibition, featuring six artifact loans from the National Museum of American History and the National Air and Space Museum, in Pittsburgh, 4.25. The Smithsonian Associates lead a tour on â€œPolitics and Society in Civil War-era Richmondâ€ featuring the American Civil War Center in Richmond, 4.4. The Sullivan Museum and History Center will feature a lecture by Tom Crouch, senior curator at the National Air and Space Museum on Lincolnâ€™s military aeronautics in the Civil War in Northfield, 4.8. The Durham Museum will host National Portrait Gallery curator Amy Henderson for a lecture on â€œKatharine Hepburn: Master of Her Own Image,â€ in Omaha, 4.9. History Colorado will feature a lecture by National Air and Space Museum curator Mike Neufeld on Apollo 8 as a complement to the 1968 exhibition in Denver, 4.21. The Museum Center at 5ive Points will open SITES IndiVisible: African-Native American Lives in the Americas in Cleveland, 4.24. 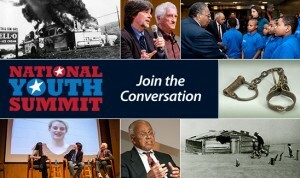 The National Museum of American History will host a National Youth Summit: War on Poverty program in collaboration with several Affiliates: the Arab American National Museum (Dearborn, MI); HistoryMiami (Miami, FL); Museum of History and Industry (Seattle, WA); National Underground Railroad Freedom Center (Cincinnati, OH); and Oklahoma History Center (Oklahoma City, OK), 4.28. Will you be at the American Alliance of Museums Annual Meeting? 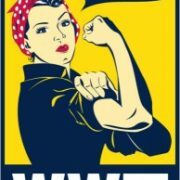 So will we! Say hi to Affiliationsâ€™ national outreach managers Laura Hansen and Caroline Mah in Atlanta, 4.29. 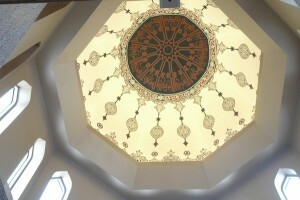 Dome at the Arab American National Museum. Courtesy of AANM. Visitors to a new exhibit at the Birthplace of Country Music Museum can play albums on a record player or pick up the spoons, a washboard, strum a guitar or try their hand at the banjo or fiddle. New Harmonies, a Smithsonian exhibit that includes a wide range of American music styles, opened Wednesday and will appear there for the next six months. This should be music to your ears! Bristolâ€™s Birthplace of Country Music Museum is showing off an exhibit that used to belong to the Smithsonian in Washington. George Angehr, the Curator of Exhibits at Biomuseo and an ornithologist from the Smithsonian Tropical Research Institute, played an integral role in developing the scientific content found in the eight exhibitions in the museum. 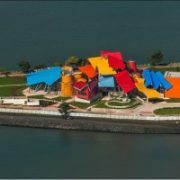 He said Panama’s unique position made it the natural choice for the world’s first biodiversity museumâ€¦. In a 2015 interview with mongabay.com, Angehr talked about what visitors can expect when visiting Biomuseo and how the new museum could raise biodiversity awareness and further conservation efforts in Panama and beyond. But this newfound ancestor of the modern croc had anything but a docile temperament, according to a study by paleontologists at North Carolina State University and the North Carolina Museum of Natural Sciences. At about 231 million years old, the newly described species offers fresh insight into crocodile evolution and behavior in the days before the reign of the dinosaurs. The speaker will be Megan Baker-Whatton, who is the citizen science coordinator of the eMammal project at the Smithsonian Institution’s Conservation Biology Instituteâ€¦She will provide an overview of the e-Mammal project, which links citizen volunteers with researchers at the Smithsonian Institution and the North Carolina Museum of Natural Sciences to document mammals throughout the mid-Atlantic region, and soon, the entire country. â€œHow to Eat Like a Lemur” with Chris Smith, education specialist at Duke Lemur Center, is the second presentation in the series. 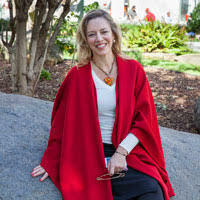 The Smithsonianâ€™s Briana Pobiner will follow with â€œEarly Human Diets” at 11am. Heritage Farm Museum and Village has achieved a new level of recognition and entered a new realm of possibilities. It’s been named West Virginia’s first Smithsonian Institution Affiliate, a distinction that will link Heritage Farm with the many resources and learning opportunities available through the Smithsonian, said Audy Perry, the new executive director of the Heritage Farm Foundation. Being accepted as part of the Smithsonian network adds an impressive “seal of approval” for the museum project begun by Henriella and the late Mike Perry almost 20 years ago. As their son Audy Perry noted last week, it also marks a “new beginning” for Heritage Farm and a chance to share the Appalachian pioneer story more broadly and more richly than ever before. â€œThis is not just banging things thatâ€™s going on here,â€ says Arthur Molella, the director of the Lemelson Center at the Smithsonian, which created the Spark!Lab. â€œThis is all done with a purpose. Cause some of the same energies that are happening here â€” essentially this curiosity, a disciplined curiosity begins here and carries on through the rest of your life.â€ Molella says that curiosity and creativity lead to innovation and invention. Thatâ€™s why his center worked with educators to create the Spark!Lab. Theyâ€™re helping museums around the United States set up their own localized versions. The Anchorage version, the sixth in the country, will soon include activities focused on the innovation required to live in the Arctic. 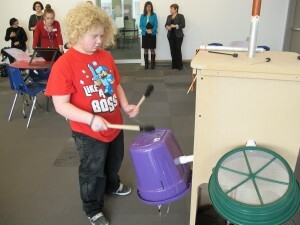 Spark!Lab, the hands-on invention experience from the Smithsonianâ€™s Lemelson Center for the Study of Invention and Innovation, is opening its newest location at the Anchorage Museum in Alaska. With the support of Ford Motor Company Fund, Spark!Lab will engage children and families in the invention process through science experiments, games, activities and special programs, such as SparkNite, a look at the innovation and inventions of Alaskaâ€™s history and Arctic environment. The San Francisco Board of Supervisors Tuesday unanimously approved a lease in the cityâ€™s Yerba Buena neighborhood for The Mexican Museum, expected to house more than 18,000 pieces of art and artifacts from across the Americas. Itâ€™s a brand new day at the Mid-America Science Museum. Closed since Aug. 11 for renovations, the museum opened its doors Saturday, offering more than 60 exhibits, displays and experiment stations to visitors of all ages. 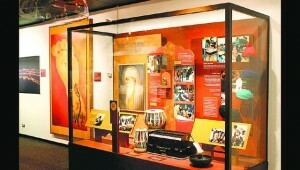 Developed by Smithsonian Institution and sponsored by the Sikh Heritage Foundation, the exhibition presents paintings; arms and armour; traditional textiles and dress; musical instruments; jewellery; sacred texts; and modern works of art, apart from a scale model of the Golden Temple. â€œThe bulk of the exhibit originated at the Smithsonian Institution, with whom weâ€™re an affiliate. HistoryMiami has a lot of history. Previously known as the Historical Museum of Southern Florida, this Smithsonian-affiliated museum, accredited by the American Alliance of Museums, is the oldest nonreligious cultural institution in Miami-Dade County. In fact, the museum is now observing its 75th anniversary, and a big announcement is expected during the museumâ€™s annual membership meeting on April 23. Flushing Town Hall has met its campaign goal of raising $35,000 to match funding from an anonymous donor ahead of its Feb. 28 deadline. Since September, more than 300 people made contributions by mail or online or dropped off donations. By Feb. 10, the organization had raised more than $41,000. Earth from Space illustrates how satellite imagery is gathered and used to expand mankind’s understanding of life on Earth. It also explores the remote-sensing technology used to gather the images and describes the individual satellites whose images are on display. Brought to you courtesy of the United States Geological Survey and the Smithsonian Institution. The Earth From Space exhibit is on display at the Kenosha Public Museum now through June 21, 2015. Stunning satellite images and artifacts reveal our dynamic, ever-changing planet. Cecile Ganteaume, Curator, Smithsonian National Museum of the American Indian (NMAI), Washington, DC and Multi-Media Artist and Colville Confederated Tribal Member Joe Feddersen spoke with Verne Windham on Friday morning about the Museum of Arts and Culture’s three-days of special programs focusing on American Indian Basketry. The festivalâ€™s mission, Hammond said, is to explore indigenous issues, such as the exploitation of Native land and sovereignty, and showcase indigenous filmmakers from around the world. When you have a guest programmer from the Smithsonian Institution and one of the featured films is produced by the Sundance Institute, those strategic alliances give the Agua Caliente Cultural Museum’s 14th Annual Native FilmFest “street cred” that would be the envy of many other film festivals around the country. The best family-friendly vacation spots in the US as chosen by 2,000 families from across the country. Animal attractions, science museums, and tourist towns resonated with families this year. In 1968, the state’s citizens voted to finance construction of the Center, which houses the National Historic Landmark Saturn V Moon Rocket, the Apollo 16 Command Module, the Pathfinder space shuttle display and many other exhibits. The Center is a Smithsonian Affiliate Museum and is the Official Visitor Center for Marshall Space Flight Center. Enjoy a gallery of vintage historical photos from the U.S. Space & Rocket Center’s 45 years of educating America and the world about the NASA and the U.S. Space program. The photos begin with the groundbreaking for the Alabama Space & Rocket Center and include visits by astronauts and celebrities to the center. Norwich Universityâ€™s Sullivan Museum and History Center, Vermontâ€™s only Smithsonian Affiliate, will host Dr. Tom Crouch, Senior Curator of Aeronautics at the Smithsonianâ€™s National Air and Space Museum for a lunch-and-learn on Wednesday, April 8 at noon in Milano Ballroom, located in Roberts Hall. 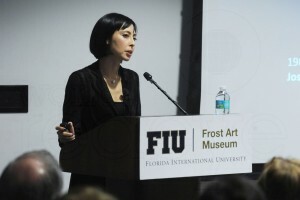 https://affiliations.si.edu/wp-content/uploads/2015/03/0302_biomuseo_1-300x200.jpg 200 300 Elizabeth Bugbee https://affiliations.si.edu/wp-content/uploads/2019/03/si_Affiliations_rgb_single-line_color-280w-1.jpg Elizabeth Bugbee2015-03-22 13:39:232017-03-10 17:50:51Affiliates in the news! 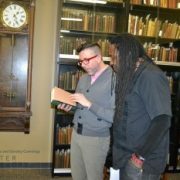 Many thanks to Dr. Jodi Kearns, Digital Projects Manager at the Cummings Center for the History of Psychology for this guest post.Â The Cummings Center has been a Smithsonian Affiliate since 2002 and is located at the University of Akron in Akron, Ohio. The Cummings Center for the History of Psychology houses exhibition galleries and extensive archives at its site in Akron. 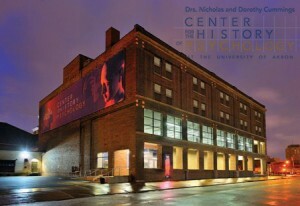 The mission of the Cummings Center for the History of Psychology (CCHP) is to promote the history of psychology and related human sciences to the broadest community possible. Integral to this mission is offering structured educational opportunities to empower critical thinking about primary source materials held in the CCHP archives. 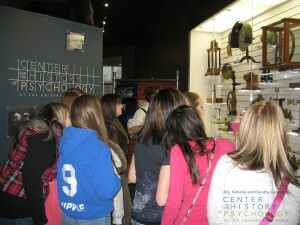 As such, CCHP staff set a goal to make field trips both effortless for local high school teachers and useful to their students in order to encourage teachers from any subject area to bring their classes to the CCHP Museum of Psychology, which exhibits artifacts and documents from the CCHP archives. Organized, well-planned field trips to museums and archives as structured, free-choice learning environments can foster learning experiences that are self-directed and hands-on (Kisiel, 2006). 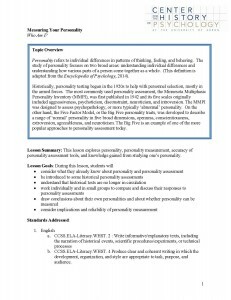 To gain a better understanding of teachersâ€™ perspectives, CCHP staff sent a survey to all high school teachers in the Akron Public Schools in Akron, Ohio during Spring 2012. Results indicated that all of the responding teachers rated field trips as moderately to very important for student learning. When asked to rate the potential helpfulness of various field trip resources for teachers, they rated all the proposed resourcesâ€”pre- and post-trip activities, onsite activities, learning objectives mapped to curriculum standards, and teacherâ€™s guides to the exhibitsâ€”as very helpful. Local teachers participate in a professional development workshop at CCHP. In response to the local educational communityâ€™s need for focused field trips identified in the survey, CCHP staff held a free workshop in Fall 2013 for teachers interested in providing more in-depth perspectives of field trips and moderating CCHP staff lesson plan building. This collaborative partnership has resulted in robust three-part lesson plans adaptable to all high school grade levels and mapped to state and core academic content standards in mathematics, science, social studies, and language arts. Each lesson plan suggests activities and materials in which teachers can engage students before, during, and after the field trip. Upon lesson completion, students will have had hands-on engagement with archival materials spanning CCHP collections, including artifacts, photographs, films, rare books, and historical tests. The lesson plans are part of the complete Teachers Resource Package that also includes gallery maps, behavioral guidelines for visits within archives and museums, guides to gallery content, and chaperone guides with instructions for facilitating on-site dialogue around the student-guided gallery guides. Further, archival materials not on display in the public gallery have been placed in the CCHPâ€™s online repository (OCLCâ€™s CONTENTdm) where teachers can access supporting materials from their classrooms for before and after activities. 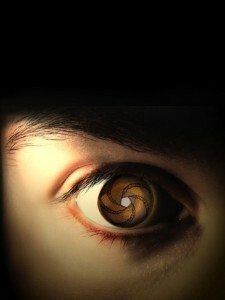 CCHP’s new Measuring the Mind exhibition, funded in part by IMLS. This project is funded by the Institute of Museum and Library Services (IMLS) Museums for America grant, which enabled the installation of a new interactive museum exhibit called Measuring the Mind to capture interest of high school (and other) visitors. Measuring the Mind features artifacts, tests, photographs, and film from CCHP collections and takes museum visitors through some history of testing aptitude, personality, intelligence, and interest. If you would like to learn more about how to incorporate materials from the history of psychology into your lesson plans or professional development for teachers, or if you know a teacher who might be interested in using our resources, please contact ahap@uakron.edu for more information. High school students on a field trip to CCHP marvel at the artifacts on view. Kisiel, J. (2006). An examination of fieldtrip strategies and their implementation within a natural history museum. Science Education, 90 (3), 434-452. An example of one of the project’s new lesson plans.